Rickard L. Eriksson was asked to take the Queen of Sweden’s portrait. Doing so, Rickard accidentally managed to catch the Queen off guard and got an award-winning portrait in the process. Keep reading for the full story. Queen Silvia of Sweden recently celebrated her seventieth birthday. The anniversary was to be commemorated by a lavish tabletop book, documenting the Queen’s life as a professional woman. The book would, of course, feature portraits of the Queen – portraits that Rickard L. Eriksson was asked to shoot. What are the benefits with photographing a person that gets her picture taken as often as the Queen does? And what are the challenges? Considering this, it should come as less of a surprise that the portrait that Rickard ended up being the most pleased with happened almost by accident. The unusual portrait of the Queen got a lot of attention. 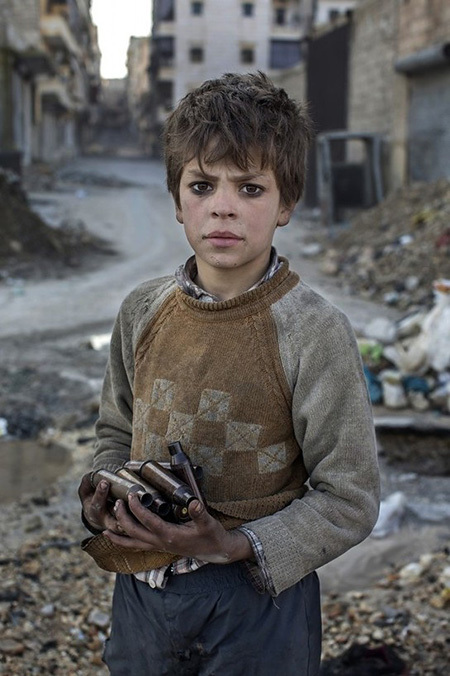 It was even featured in the annual Swedish contest Portrait of the Year, where it ended up in the second place, right after Niclas Hammarström’s powerful portrait of a Syrian boy collecting ammunition shells. How were the lights set when you snapped this shot? “I’d brought an AcuteB2 battery generator with me. You have to have a battery generator when shooting at these old castles. Mains outlets are rare, plus you often have to quickly move your entire setup, so you want to stay mobile at all times. Is there any other shot from these sessions you feel particularly strong for? How was this image lit then? Final question: I know the queen was involved in choosing what images to include in the book. Why do you think she picked these particular images? See more of Rickard’s work at his website or at his Facebook page.